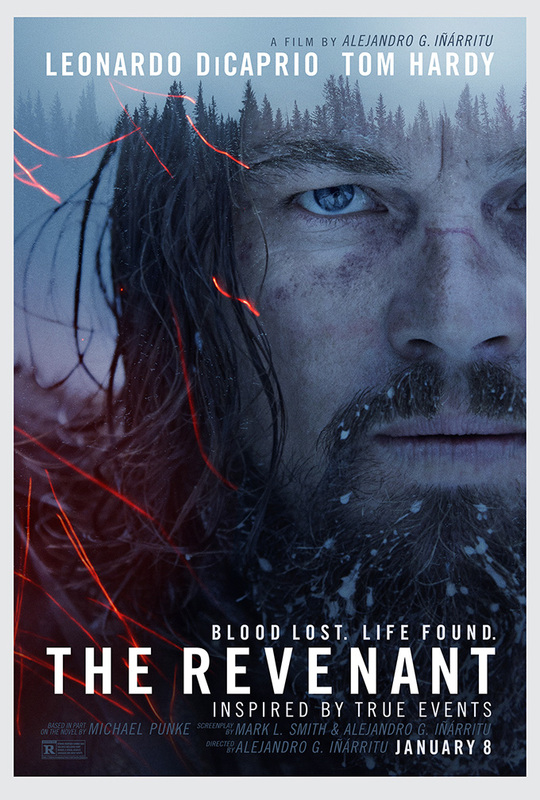 Synopsis: A frontiersman on a fur trading expedition is on a quest for survival after being brutally mauled by a bear. Quotables: GLASS: As long as you can still grab a breath, you fight. You breathe… keep breathing. A Word from the Guise: Leonardo DiCaprio tries something new with his performance in this film: instead of screaming his way to an Oscar nomination, he moans and grunts his way to one. It is one of his best performances, but that’s because he can’t talk for most of the film. But then as soon as his throat heals and he’s done grunting and moaning, he whispers all of his lines like some sage monk with emphysema. Half of me doesn’t want DiCaprio to even get a nomination, because I don’t believe that he deserves it (eating stuff you don’t normally eat and sleeping in animal carcasses doesn’t mean you deserve to be nominated). But the other half of me wants him to win simply so that the internet will stop joking that he doesn’t have one. He has four acting Oscar nominations and one for Best Picture. There are a lot of other more-deserving actors who received more nominations and never won: Peter O’Toole, Glenn Close, and Albert Finney just to name a few. Then there’s countless actors of superior skill who’ve never received any nominations at all. The Academy doesn’t owe DiCaprio anything, and certainly not for The Revenant. But he’s not the only one I’ll criticize for the film: Tom Hardy – whom I love – was almost impossible to understand through his mumbled recitations. Iñárritu was furious when the score didn’t make the cut for consideration, because the Academy deemed that it was not wholly original. I, however, am glad for the Academy’s decision to nix it, not for their reasoning, but because most of the scoring is just a one-note, high-pitched squeal that is really agitating. I am now certain that filmmakers will never be able to create a convincing fully-CGI animal; they can never get the fur right and the movement of the animal is somehow unnatural. The only things I liked about this film were the sweeping shots and breathtaking landscape. It is definitely an inferior followup to Iñárritu’s Best Picture winning Birdman.